Walter Harrelson, an internationally acclaimed Old Testament scholar who previously served as dean of Vanderbilt University Divinity School, died September 5, 2012, in Winston-Salem, North Carolina. The Distinguished Professor of Hebrew Bible, emeritus, was 92 years old. Harrelson was born in Winnabow, North Carolina, on Nov. 28, 1919. He attended Mars Hill College before serving in the U.S. Navy during World War II. Harrelson received his undergraduate degree from the University of North Carolina and a doctorate in theology from Union Theological Seminary (1953). The ordained American Baptist minister also did additional study at the University of Basel in Switzerland and at Harvard University. Harrelson served as dean of the Chicago Divinity School and then as a professor of Old Testament at Vanderbilt University. He later served as dean of the Vanderbilt Divinity School (1967–1975). His broad range of areas of expertise included Jewish–Christian relations, Biblical interpretation, the study of Biblical law and prophets, and the churches’ response to social issues. Harrelson’s numerous leadership posts included president of the Society of Biblical Literature and chairman of the Society for Religion in Higher Education. He was a member of the American Academy of Religion from 1988–1998. 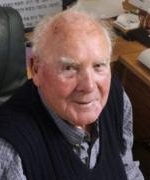 Hans H. Penner, a leading scholar of comparative religion, died on April 25, 2012. Penner was a member of Dartmouth University's religion department for thirty-six years. Penner received his PhD in 1965 from the University of Chicago. Penner is renowned for his contributions to the history of religions (myth and ritual studies) and method and theory in the study of religion. He is the author of many articles and four books in the study of religion. The most recent of these, Rediscovering the Buddha: The Legends and Their Interpretations, was published by Oxford University Press in 2009. In 2004, in recognition of his lifetime achievements, Penner became one of the nation’s first recipients of a Mellon Emeritus Fellowship. In 2001, Penner was awarded the Robert A. Fish Memorial 1918 Prize. The University of Utah has added a major in religious studies to its offerings in the College of Humanities. Muriel Schmid, who is a member of AAR, is director of the program. This new majors program follows a religious studies minor that the university introduced several years ago. Last year, the number of religious studies minors tripled from five to fifteen, according to the proposal the regents approved, with ten more students expected to begin last fall. Rice University researchers have received a $1.08 million grant to study religion and science from the John Templeton Foundation. Associate professor of sociology Elaine Hoard Ecklund will lead the study. Her research plans to explore the link to how people of various religions perceive science and vice versa. Ecklund will survey evangelicals, mainline Protestants, Catholics, Jews and Muslims via data, observation, and interviews. She will study congregations, individuals, and religious authoritative figures. "It's very unusual as a scholar to have such a direct opportunity to utilize your research in such practical ways," Ecklund said in a press release. "This grant will provide a great opportunity for us to conduct cutting-edge research about how these religious groups understand science and provide outreach and translation to individuals who might have some difficulties with some aspects of science." This study will be Ecklund’s third on science and religion. Her first study was titled "Religion Among Academic Scientists," and her second study was titled "Religion Among Scientists in International Context." Christian Theological Seminary (CTS) announces the launch of its Center for Pastoral Excellence, serving as a strategic initiative to identify, train, and sustain outstanding ministers and pastors for Christian congregations throughout the United States. Lilly Endowment Inc. has provided initial funding of $8 million to CTS in part to support the launch of the center as well as to enhance other initiatives designed to renew the seminary. The Center for Pastoral Excellence at CTS will house an array of programs offering a flexible and responsive model for theological education from vocational discernment to seminary training to professional life. CTS is a fully accredited ecumenical seminary and is affiliated with the Disciples of Christ. It offers eight graduate-level degree programs, including theology and ministry and counseling, with specializations in ministries that emphasize the arts and programs for lifelong learning. Emmanuel College has recently launched a new program deigned to help revitalize theological education. The two-year Teaching for Ministry (TFM) program has been made possible by a $500,000, five-year grant from the Lilly Endowment Inc. The program will respond to what educators perceive as a gap between academic experience and hands-on ministerial work. "There’s a disconnect between what students are learning in the academy and how they can use that knowledge or skill set," said Natalie Wigg-Stevenson, director of the new TFM program as well as the Contextual Education programs for Emmanuel College. "The multicultural, significantly post-Christian culture in Toronto provides an ideal testing ground for developing the types of practices required for ministry in the twenty-first century," Wigg-Stevenson said. "We are excited to be able to offer a Canadian perspective to ongoing conversations taking place among American theological schools doing similar work." Founded in 1928 and associated with the United Church of Canada, Emmanuel College is a constituent college of Victoria University in the University of Toronto. The Rev. Dr. Robert Grove-Markwood was recently installed as the eleventh and final president of Bangor Theological Seminary during the opening of the school’s last convocation at First Congregational Church, United Church of Christ. Grove-Markwood will only serve one year at the helm of the 198-year-old institution before the seminary transitions from a degree-granting seminary to a much smaller organization most likely dedicated to providing continuing education to ministers, lay leaders, and spiritual seekers. Associated with the United Church of Christ, the seminary has for nearly 200 years trained ministers and lay leaders in mainline Christian denominations including United Methodists, Episcopalians, Lutherans, and Congregationalists. The seminary will no longer have a full-time faculty. A draft plan will be presented in October to the board of trustees with a decision on what the seminary is to become tentatively scheduled to be voted on in November.